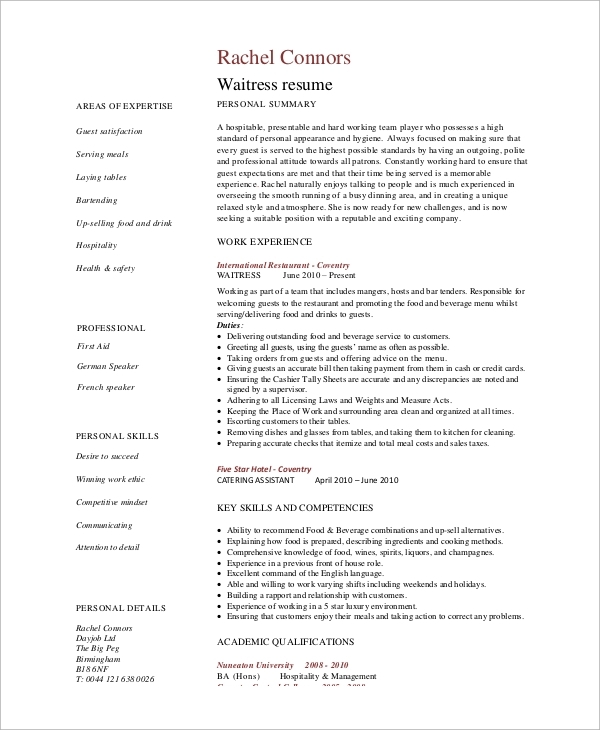 The following resume examples are thoroughly professional and they are likely to increase your chance of getting selected for the interview. They are going to empower you to score over your competitors and have the edge in the competition. They are fully editable and all you need to do is to build your Sample Resumes around them or like them and send it to the interviewers to go through them and call you up for the interview instantly. 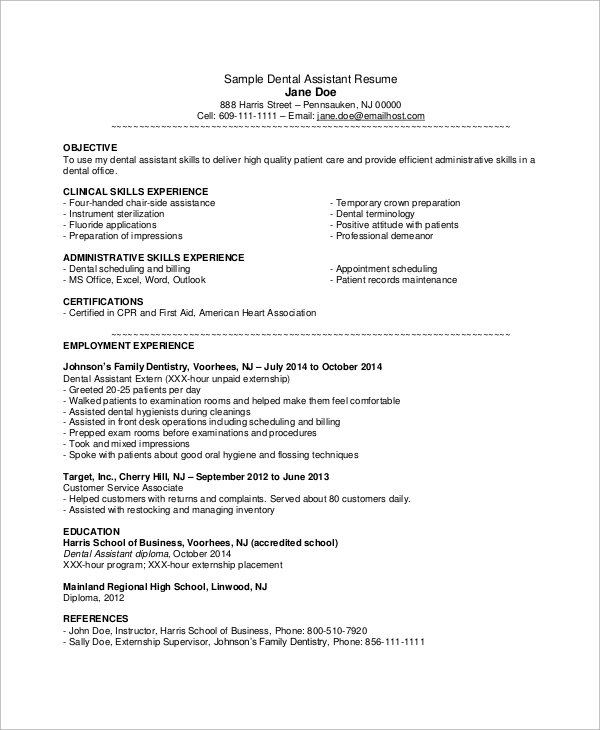 This is a wonderful resume example for dental assistant and other nursing and medical related jobs. It is very much to the point and highlights clinical skills, administrative skills with experiences and different certificates followed by work experiences. 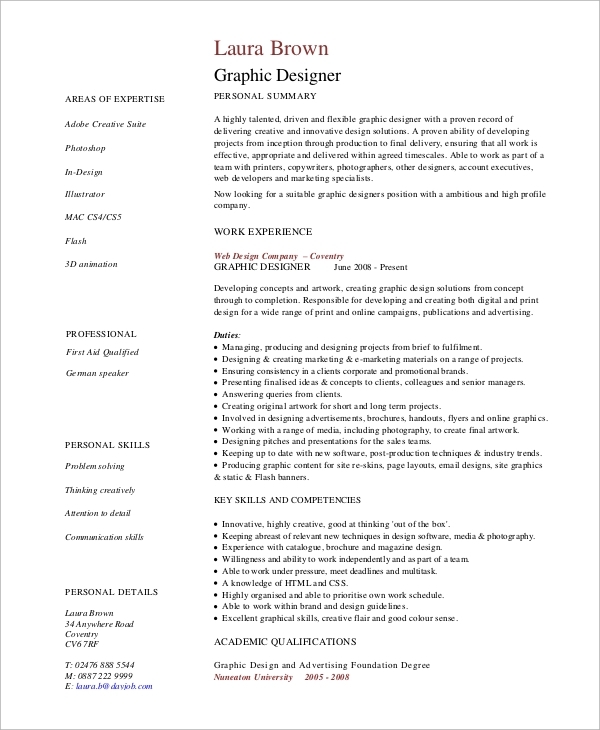 This is an excellent format for writing a Graphic Designer Resume. 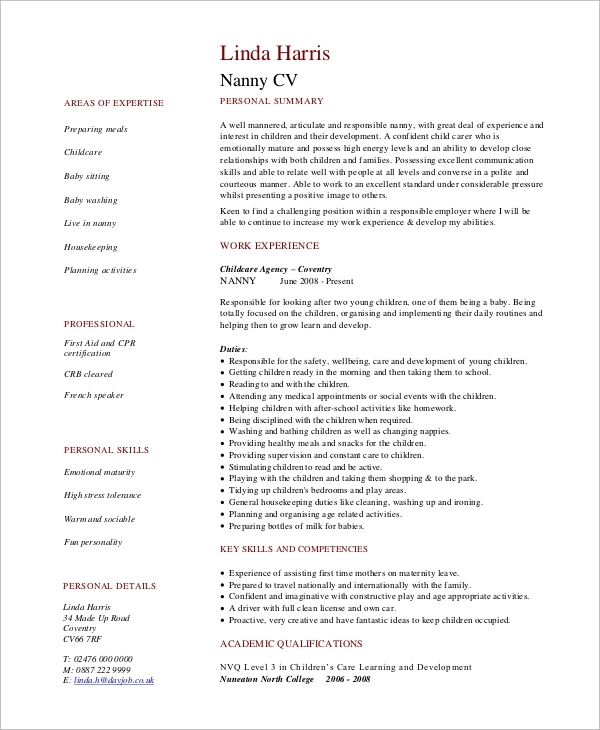 It is an example with which you can create your own resume if you are a graphic designer or want to be in any creative work. It highlights the special skills and achievements beautifully. 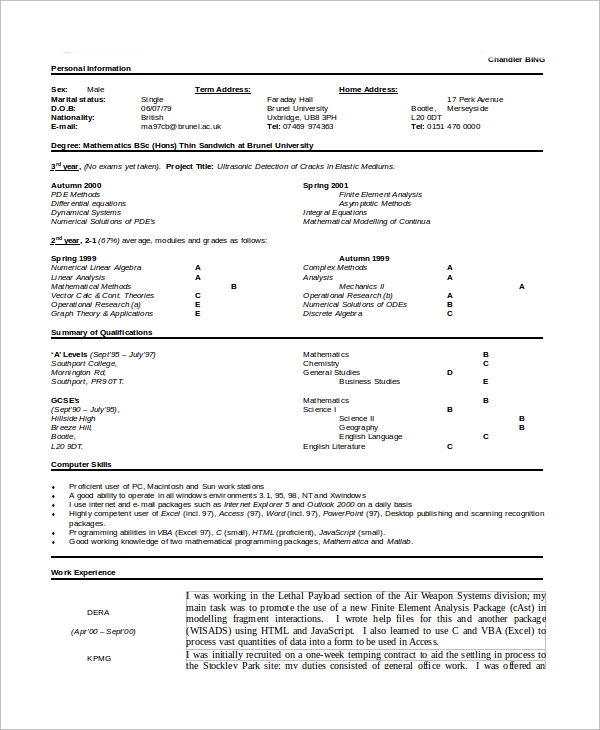 This is a resume example for the technical professionals. 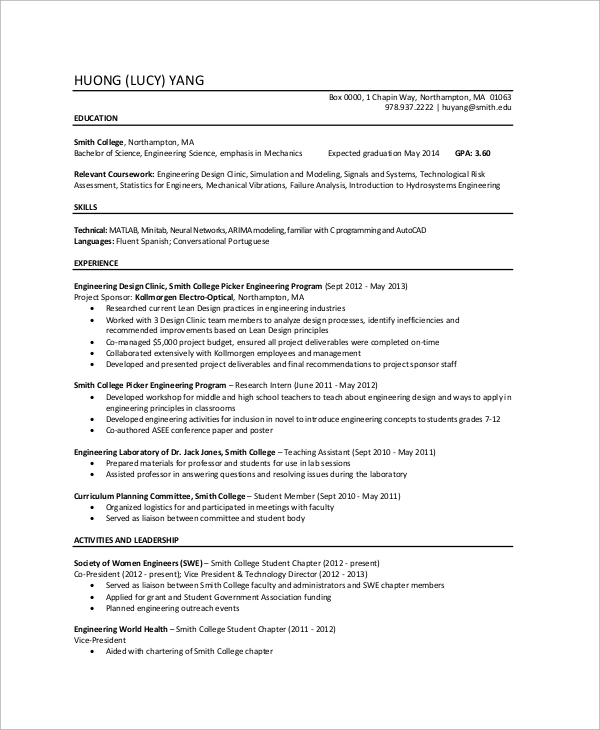 It is quite different than the normal and standard resume examples. It is very well-structured and to the point without much of exaggeration. It contains multiple examples of catering to different categories of technical jobs. A proper resume increases the chance of getting a job much more than the ones with an awful format. The above-listed examples will give you the complete idea as to how to write a professional resume that can impress the interviewer and get you a call for the interview. There are different categories of Resume Objectives listed above to cater to different needs and all of them are modern, clean and organized to highlight the best points of the candidates at the very first impression. This is a General Resume Objective example for a server like a waitress, airhostess and likewise. It has two different rows, one containing the main highlighting points like skills, professional areas of expertise while the another one is a description with a summary of work experience, and competencies with personal data. 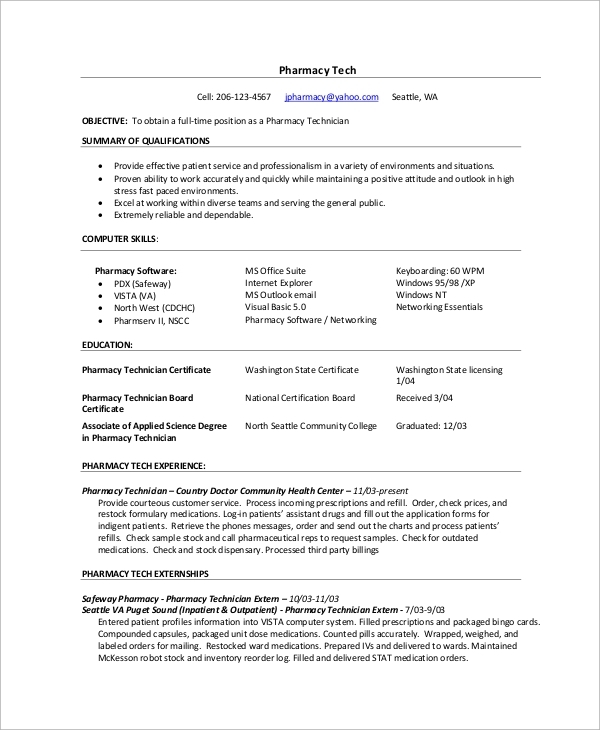 This is for the pharmacy technician which begins by highlighting the personal traits which get more priority in this type of jobs. Then it moves on to the technical skills, education and qualifications, past experiences and achievements, and other additional information that is likely to impress the recruiters. The targeted audiences for the above-mentioned Resume Samples are the professionals of different categories. They are also useful for the freshers and fresh graduates. They are intended for the servers like waitresses and air-hostesses, technicians of various fields, medical assistants, creative people like graphic designers and photographers. 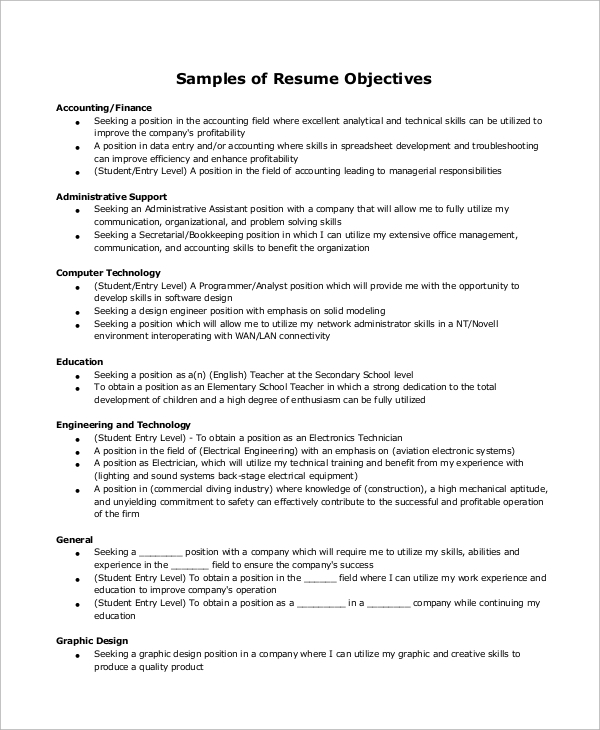 There are different types of Resume Examples listed above to cater to different categories of jobs and professions. There are resumes for creative professionals like graphic designers, for medical related jobs like medical assistants, technical job-related resumes for pharmacy technicians as well as for servers like air-hostesses and waitresses.